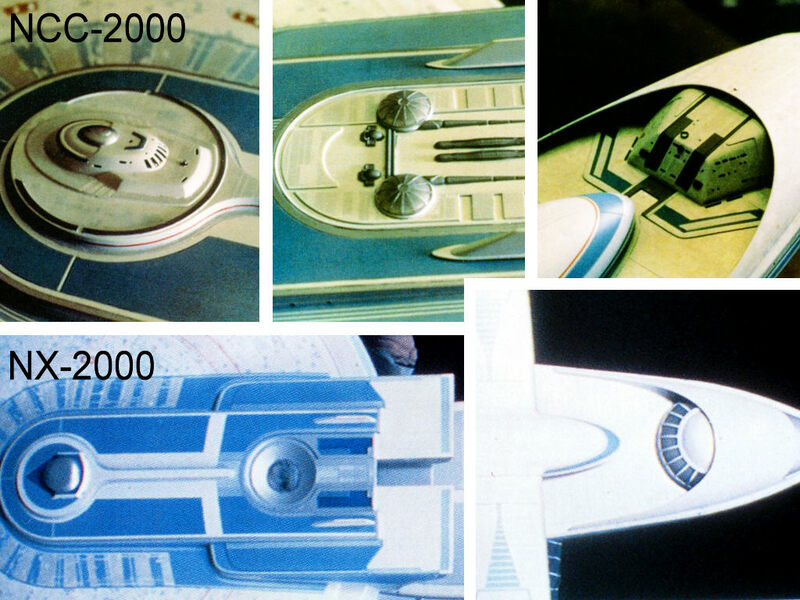 These are some of the better reference pics I'm working with. 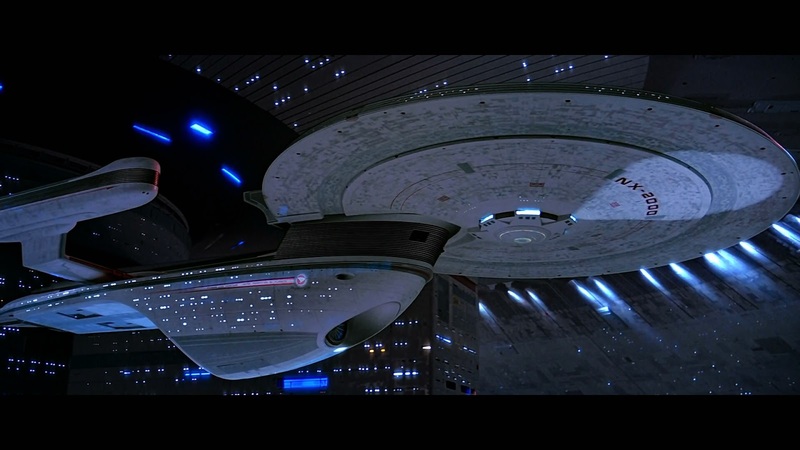 First off 2 main differences on the NX version of the Excelsior compared to the STVI version the AMT kit represents is the rear implies crystal and the bridge. 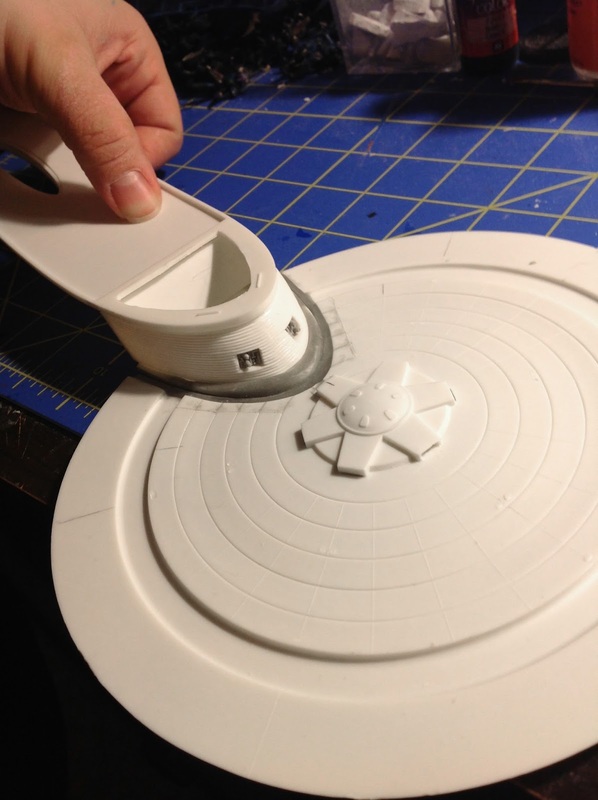 I'm int he process of resculpting these areas. 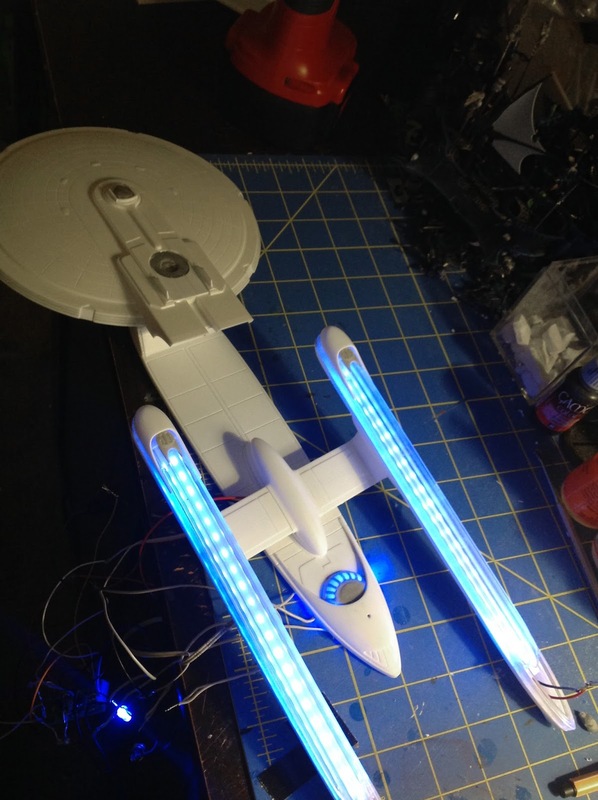 The model will be illuminated and the actual crystal will be recast from a Round 2 1/1000 scale Reliant kit. 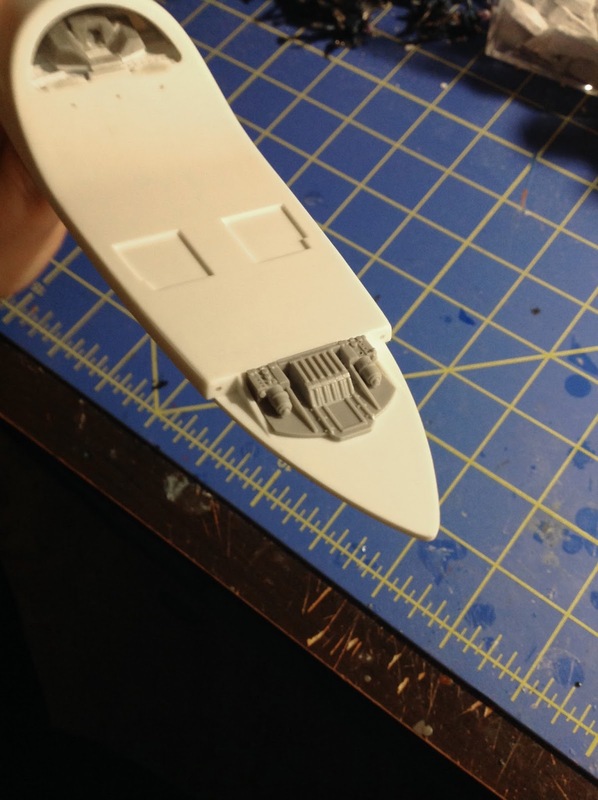 As everyone knows the lower cargo bay of the AMT model is the most inaccurate piece on the whole kit aside from the inaccurate slope of the lower hull. 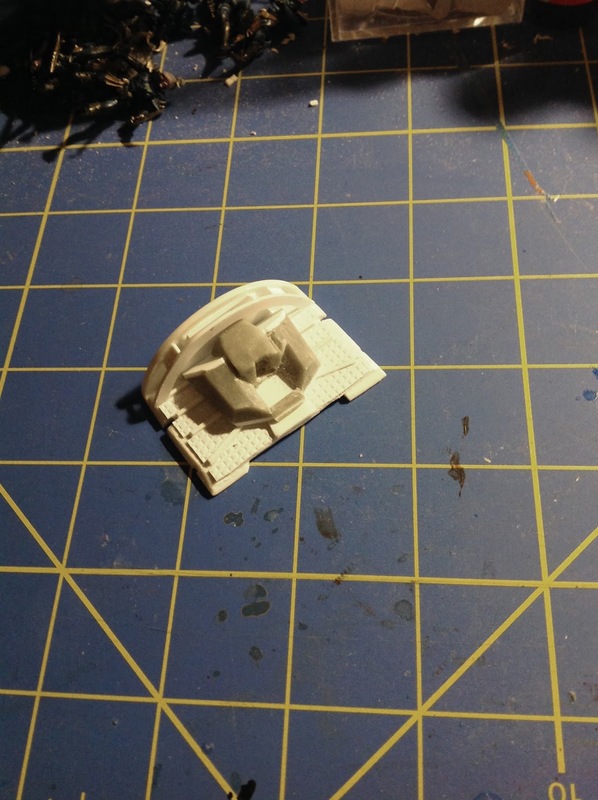 I'm in the process of building a new cargo bay based of reference pics from the Christies auction. 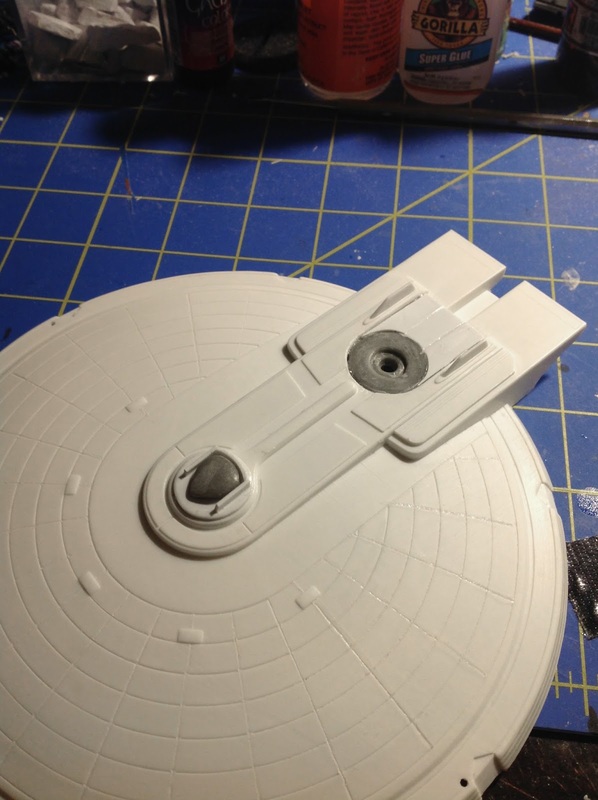 I also used DLM replacement parts for the rear torpedo launchers and neck area. 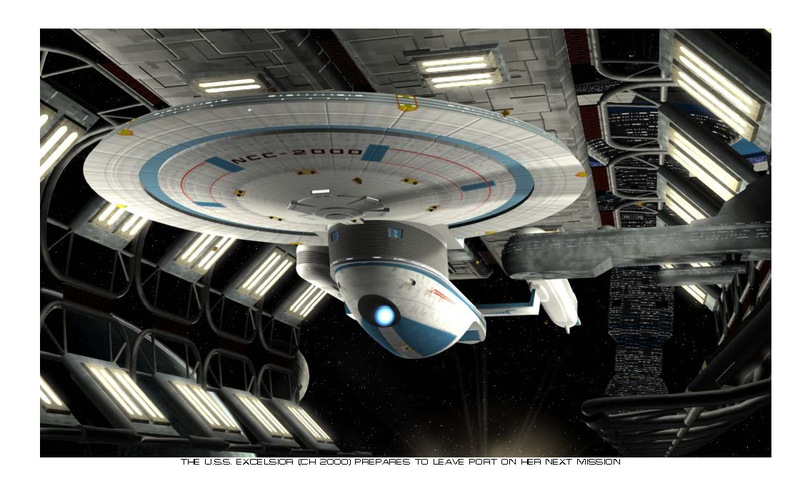 The lower saucer / neck section of the AMT model was horrible and Round 2 fixed this error on the Enterprise B re-release. 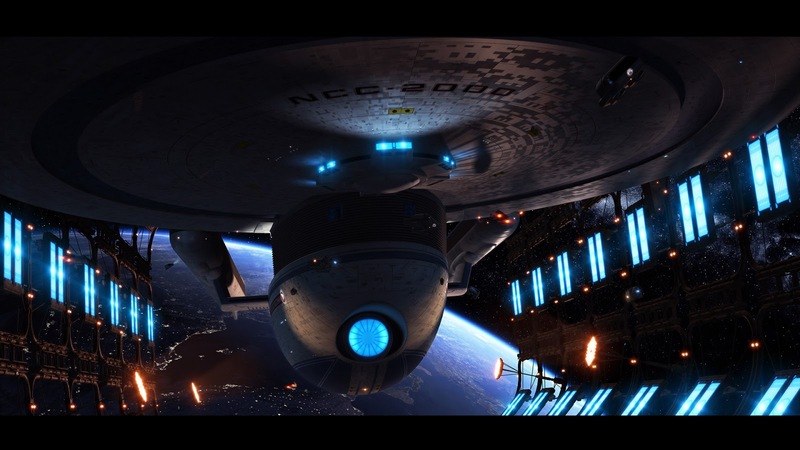 Here I did my best to simulate what Round 2 did. 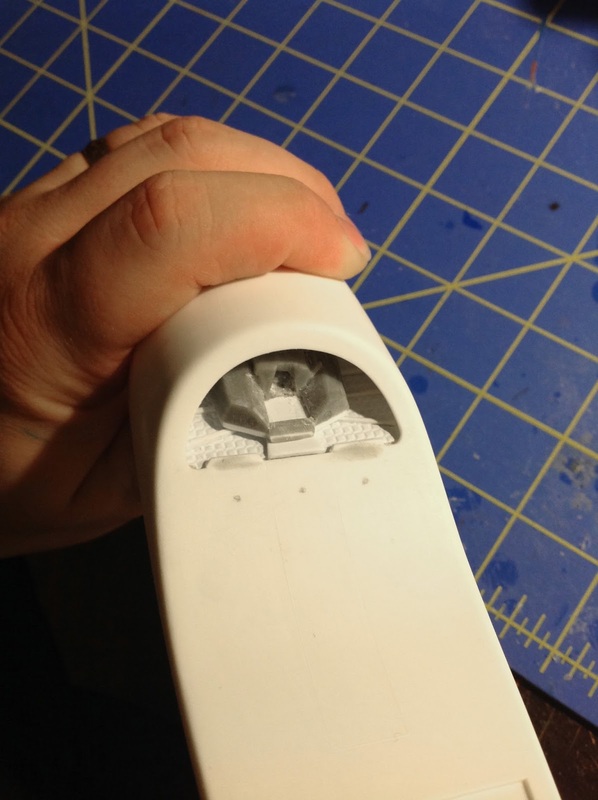 It needs some fine tuning, but it's almost there. 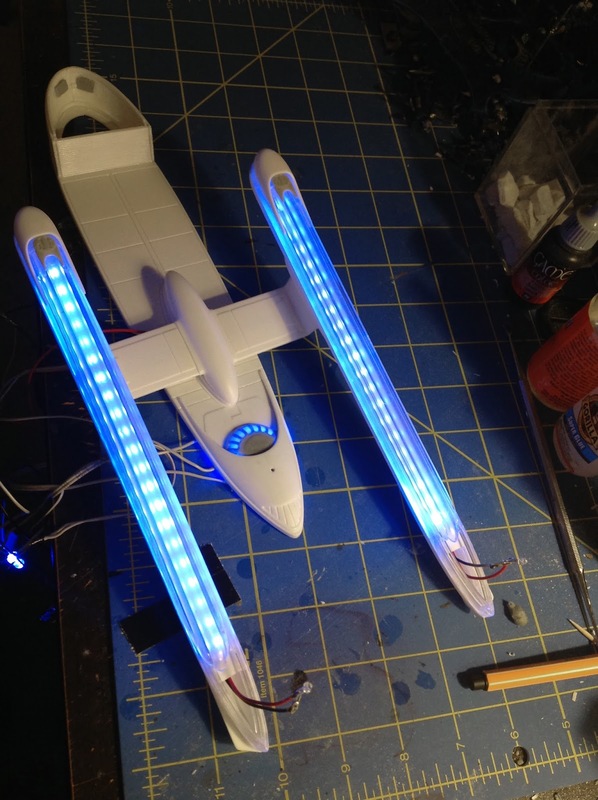 I used Paragraphix HD Blue LED Strips for the Warp Engine effects. 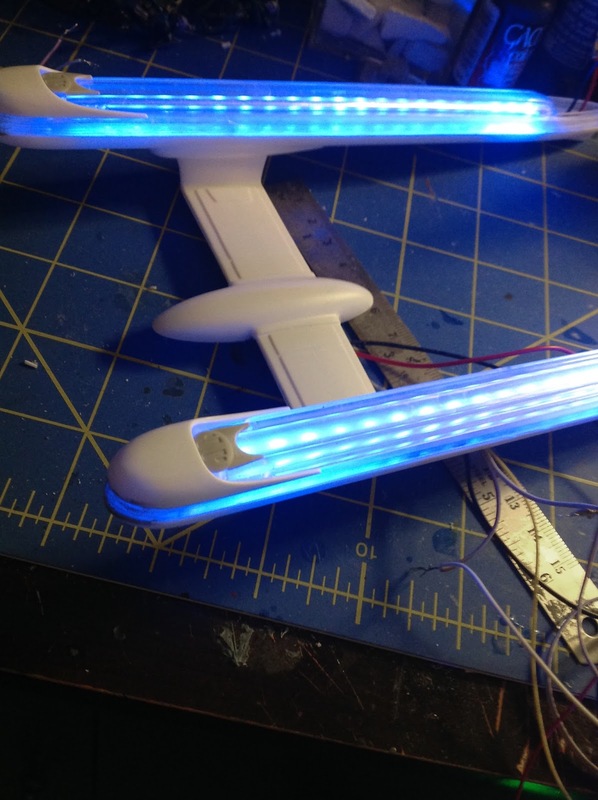 I will only be illuminating the top of the nacelles, not the sides as in the Greg Jein model made for Voyager. 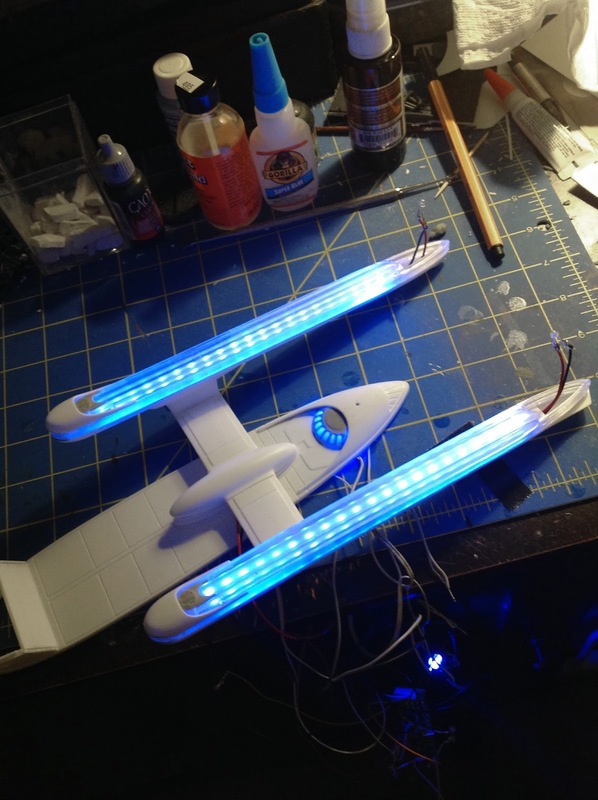 I'm really happy with how the lighting effect in the nacelles is turning out so far. 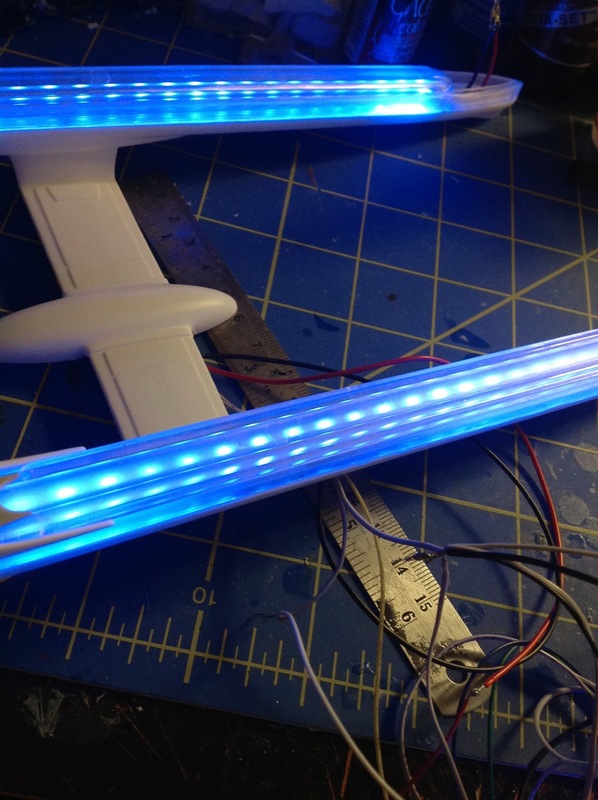 The diffused LEDs look like glowing warp coils. 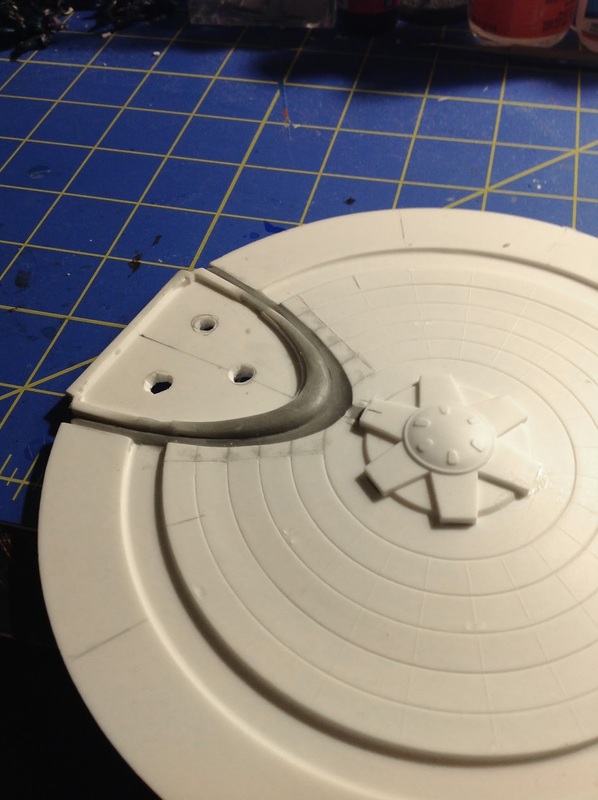 The last major conversion area is the rounded window section behind the shuttle bay. 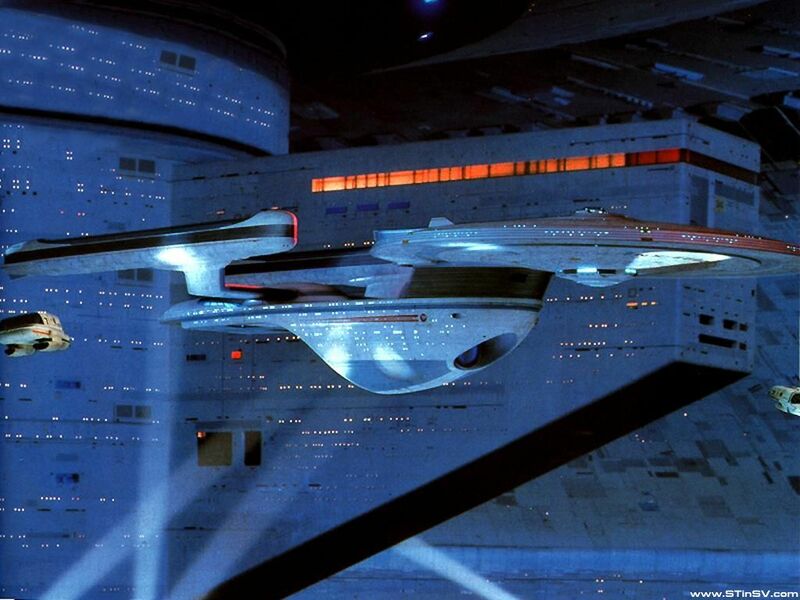 I have no actual references of how it was illuminated in the Star Trek III, but I've seen some nice CGI renders where this section was blue; so I'm going for that effect here as well.